FILMREADYSERVICES.com does not promise that the site will be error-free or uninterrupted, or that it will provide results from the use of the site or any content, search, or link on it. The site and its content are delivered on an as is and available basis. FILMREADYSERVICES.com will not be liable for any damages of any kind arising from the use of this site, including, without limitation, direct, indirect, incidental and punitive and consequential damages. FILMREADYSERVICES.com disclaims any and all liability for the acts, omissions and conduct of any third-party. 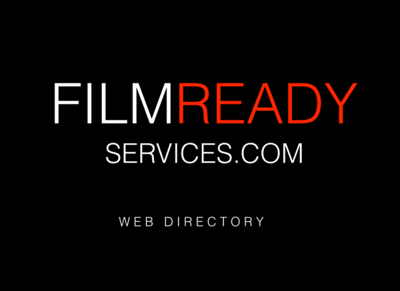 FILMREADYSERVICES.com is not responsible for the products, services, actions or failure to act in connection with or referenced on the Site. You agree to indemnify and hold FilmReadyServices.com from any loss, liability, claim or demand, including reasonable attorney's fee, made by any third party due to or arising out of your use of the site. FILMREADYSERVICES.com copyright extends to original photography. Third party photography copyright by owners has been granted. Portfolio video is the domaine of the crew member or business as work experience reference. Website hosting “SmugMug Pro” conditions apply.